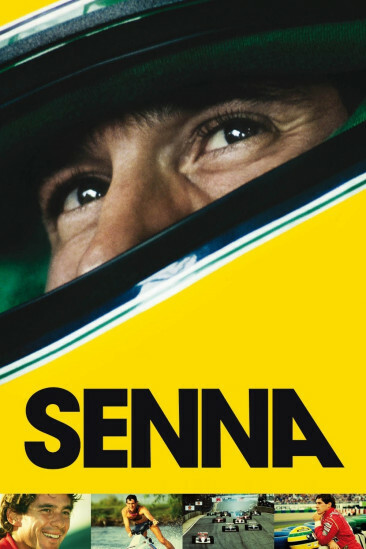 Senna chronicles the turbulent yet tragic driving career of a world champion. Ayrton Senna was more than just one of the greatest formula one drivers of all time. He was an icon. A symbol of joy for a poverty-stricken Brazil, raising awareness for the millions of children who are in the midst of governmental breakdown. His religious goodwill reflected in his humanitarian endeavours, juxtaposing the ferocity of his rivalry with Prost on the track. Two worlds juggling politics and wealth, affecting the individuals who reside in them. Kapadia ingeniously integrates Senna's racing career, by stringing specific grand prixs within the championships chronologically, to illustrate his fierce competitive persona. He was never once perceived to be a cheat or an aggressive driver, but a professional sportsman who only wanted to be the best that he could be. To do that, he needed the correct vehicle. And a large part of this exhilarating documentary consists of the electronic advancements and lack of safety that existed in the latter part of Senna's career. His move to Williams, and the FIA stripping the use of electronic components, inevitably resulted in his tragedy that shook the sporting world. His death forced several safety precautions to be enhanced, and since then no fatal injuries have occurred. Kapadia takes Senna's untimely demise and uses it wisely to inject positivity to this tragic story. It's unfortunate to say this, but formula one would still be dangerous if it wasn't for Ayrton's death. It shouldn't have happened, but needed to. Kapadia understands this and shifts the focus of the third act onto health and safety. It is a meticulously crafted documentary, ingenious even. The lack of interviews actually worked in the film's favour and kept the pace flowing with excitement. The absence of Senna's early and personal life was noticeable, and I do believe it would've enhanced the investment towards him as a person even further, as there were times where I struggled to connect with him. Even so, this documentary was heartfelt. Even as a novice to the world of formula one, it is hugely accessible.